We had the most amazing, gorgeous New Year’s Day here in Southern Maine. An azure sky with a few wispy clouds, golden sunshine, a mild breeze, and a temperature in the mid-forties. And . . . I got a new 55-200mm zoom lens for Christmas! What’s a photographer to do? 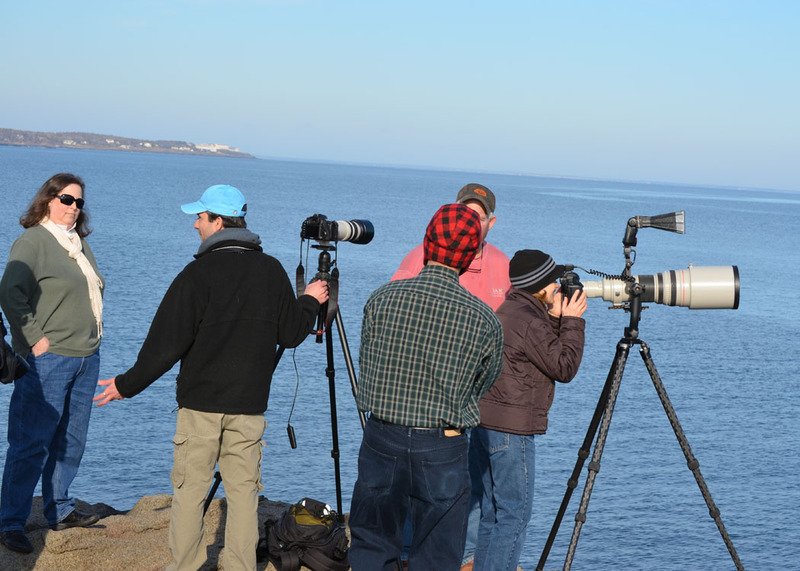 Go on a photo walk with a couple of friends, of course.
. . . a Snowy Owl that had been reported on local bird forums as having been sighted hanging around the lighthouse. I’m quite pleased with this photo, which was cropped from an image taken with my new 55-200mm lens, hand held, from a distance of a hundred yards or so. Anyway, that’s when the guys got out the “big guns.” Can you tell they are serious about this? There was quite a little crowd coming and going, thanks in equal measure to the beautiful weather and the rumored owl sighting. People seemed equally fascinated by the camera gear and the Snowy. 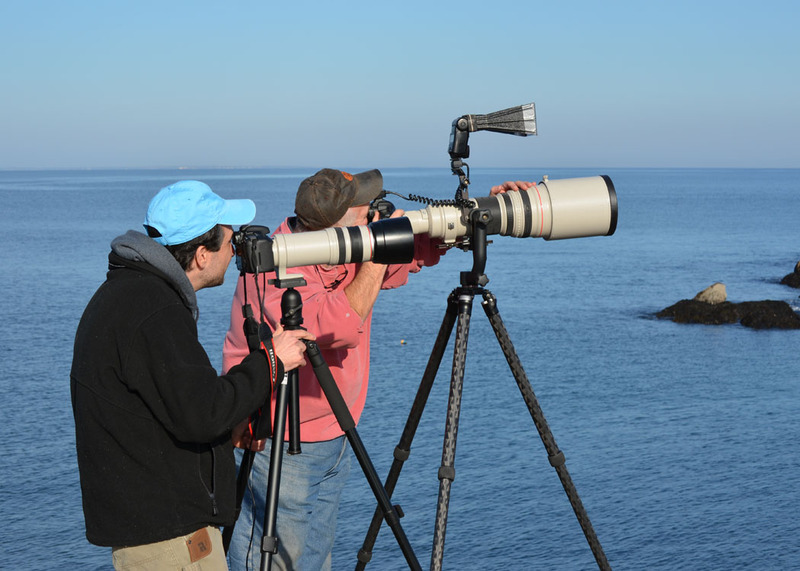 My companions were generous with offering close-up looks through their lenses, and sharing their knowledge of birds and photography with anyone who had questions. Me? I was standing back watching the action, playing with my own new lens, photographing birds so far away I could barely see them, taking pictures of the scenery and the people, listening to conversations and having a few of my own, wearing a huge happy grin at the wonder of it all. It’s hard to think of a better way to start a new year. 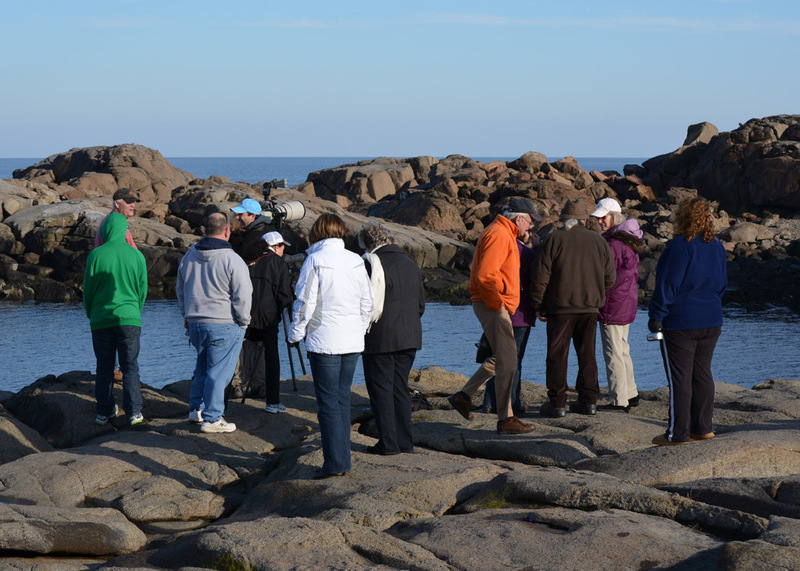 Categories: Adventures, Cameras & Equipment, Holidays | Tags: New Year's Day, nubble light, seagull, snowy owl, telephoto | Permalink. 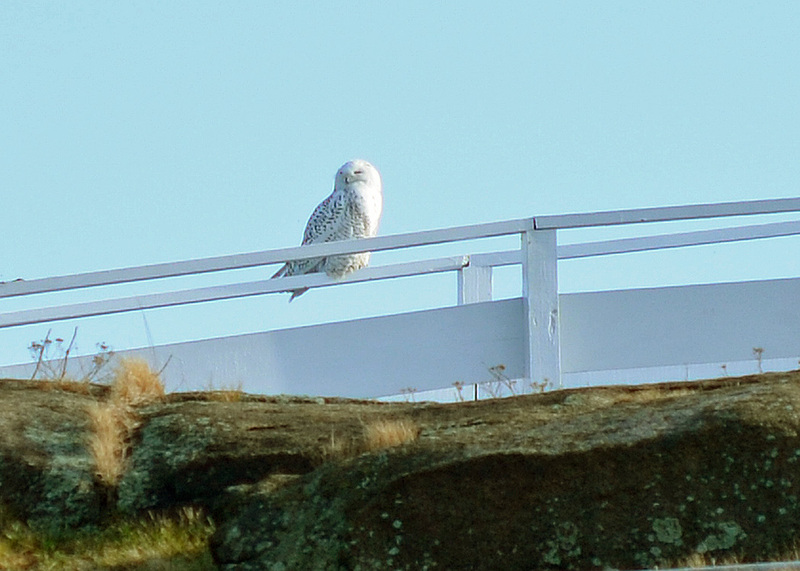 Great photos Lee and oh my gosh what a treat to see a snowy owl!!! that is just so cool and congrats on your new photographic toy!!! Oh yeah…I love the local color shot too! Hey Lee….looks like a fun shoot. I’m not much of a bird fan, but seeing that owl must have been a great experience. I did borrow a kit 75-300mm from a friend last spring that I enjoyed playing with for a few months. I thought I’d be distraught and HAVE to get one after I returned it, but I’ve made out OK without it. It is a lens that I would like to add to my collection. Of course I don’t want the lens that’s less the $200, I want the one that’s pricey. I guess worth saving for. Hope all is well. Happy New Year to you. Lee – while I can’t much appreciate the fact of a new lens, I can certainly greatly appreciate the resulting shots. I do have to admit to (occasionally) wishing for a dSLR and all its capabilities – this may be one of those times where a teensy bit of jealously enters the picture. 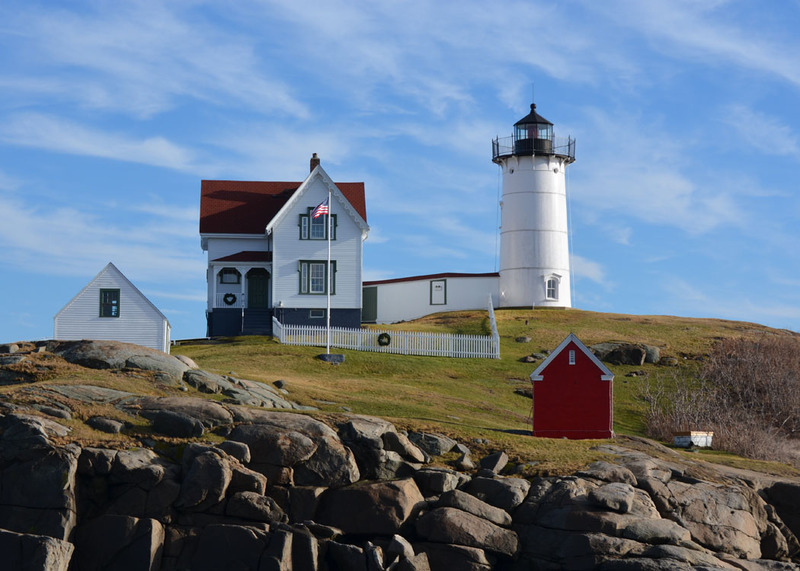 The shot of the lighthouse – I keep going back to it, reviewing it over and over. There is just something about the composition, the repetition of colors and triangular forms that I find deeply appealing. Have fund with your new toy – I look forward to your experiments! I tell ya, those snoot things that guy has on his flash work so good for birding. Grats on the new lens man! Cool shots as well. Like that last one. Love your lighthouse image. Shapes, color, love it! Now the owl, how majestic. What a great picture. Congratulations on your new lens. Aren’t they wonderful? Toys, wonderful toys! 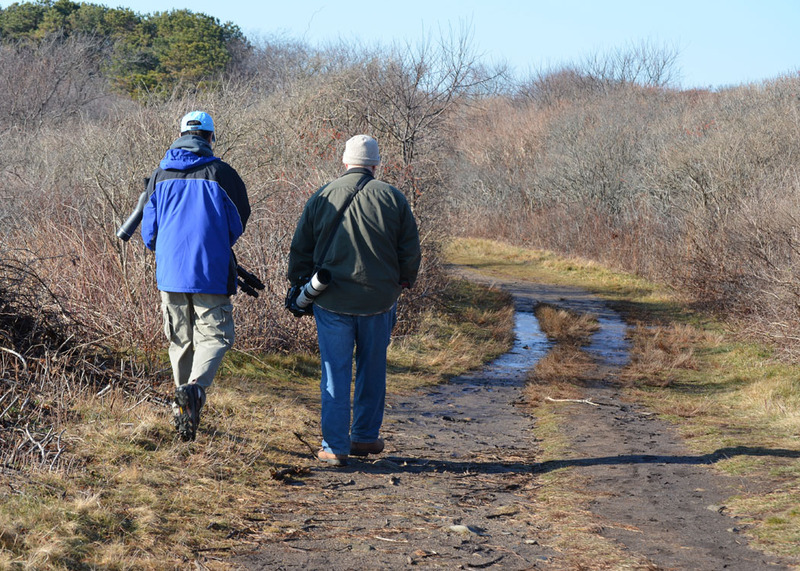 What a beautiful day for a walk and to start off a new year. Great shots, love the snowy owl..
What and amazing day and a beautiful start to the New Year!! Great job with your new lens!! You owl pictures are stunning!! Thanks for sharing your outing with us…what great images! I love the lighthouse shot — something so calm and peaceful about it. what a fun day. I look at those lenses and I just can’t imagine being that serious!!! but I’m glad that someone is because I get to enjoy the photos. 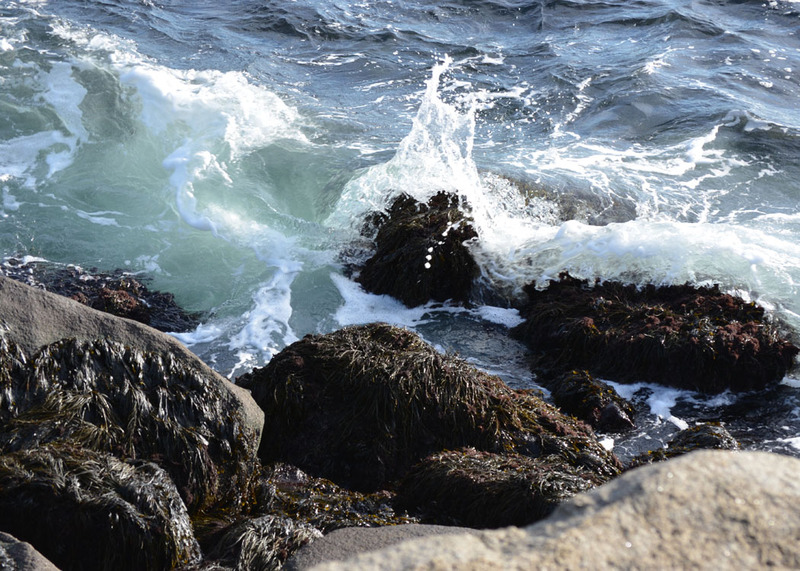 I love the photo of the waves – the spot of color in the water is gorgeous. and your bird shot too. and the lighthouse!!! you’re going to have a whole lot of fun with that new lens. happy day to you Lee. Lucky you to see the snowy. 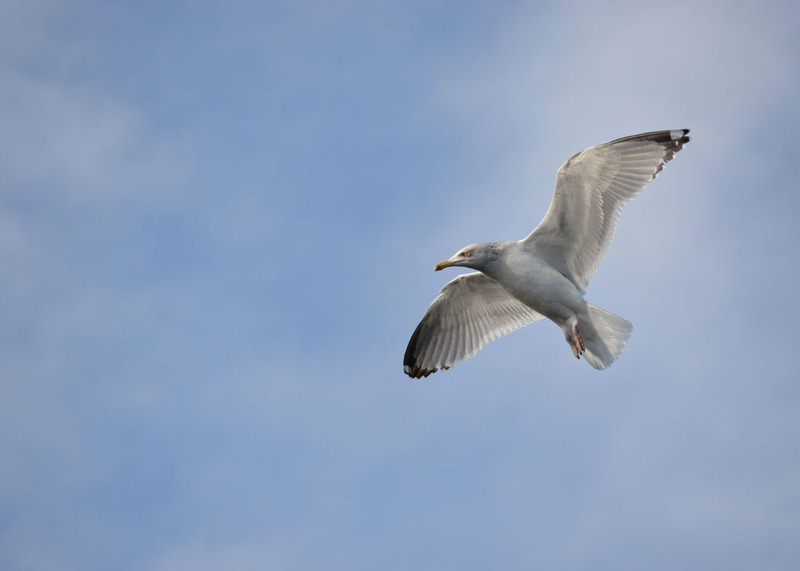 I love that seagull photo. What a beautiful day you had. Thanks for stopping by and I really hope you are serious about getting out your film camera and playing along at FILM26. In fact I’ll just say this. I can’t wait to see what you capture for the letter B starting on Monday and going for 2 weeks 🙂 See you there. The light seems so tender and almost tangible. I can feel the coldness despite the presents of the sun. As landscapes go the one with the lighthouse is very elegant. Great work. Hanging out with other photographers is such a great thing! Looks like a fabulous location and time! The Snowy Owl is beautiful! Thanks for the congrats! We are over the moon excited!